Could We Adopt An Older Child? We’ve all seen the faces of those older children. Some of us even ask ourselves if we could be the parents they are waiting for. 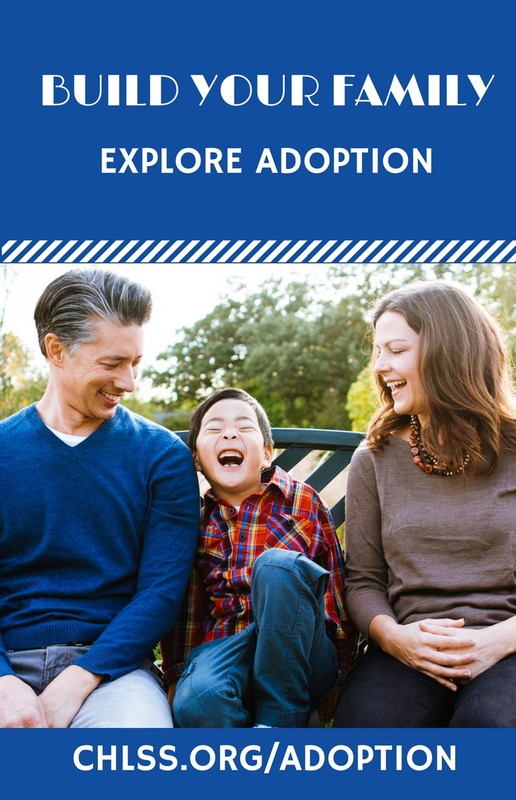 Almost every family that enters into adoption does their research. 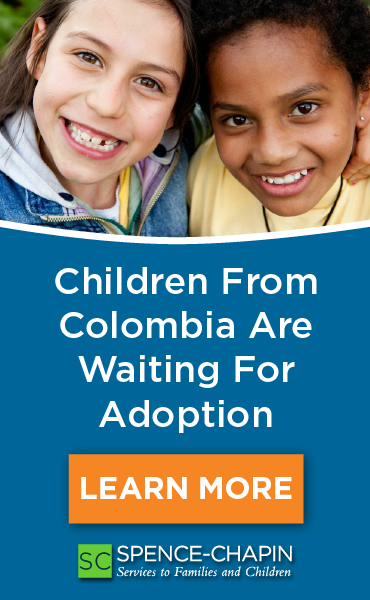 They read every adoption book they can get their hands on and learn that the first few years of a child’s life are critical to their emotional, mental, and physical development. They turn their attention from the older waiting children with unknown life experiences to the babies (or for the really brave… the toddlers). Our family went through this very thought process three years ago. 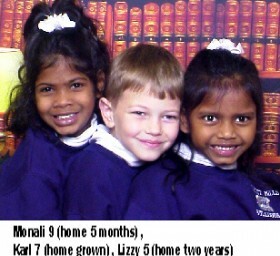 We started into adoption with the “younger is better” attitude and looked for the program placing the youngest children. After a chance to contemplate baby proofing the house and preparing a preschool brother for a baby, we decided that maybe we were brave enough to try toddler adoption. It turned our to be the best decision for our family. Our son had an instant playmate and we had a sweet daughter to love who flourished as soon as she was home. We went ahead with the comfort that we had created a relationship with our first daughter’s orphanage and trusted them to be honest with information on this child as well. We also placed a great deal of faith in our agency (AIAA or Americans for International Aid and Adoption) and their special need coordinator Teri Bell. She had years of experience visiting children and assessing their ability to transfer into families in America. Her assurance was, “There are no guarantees with older child adoption, but I have no reason to believe that this child won’t flourish in your home.” She has also reversed birth order in her own family and knew that it could work. With our future in the hands of the orphanage and agency, we accepted the nine year old’s referral and began the wait for guardianship. Finally the day arrived when my husband and I were boarding a plane for India. We were exhausted when we finally met her. The beautiful little girl walked up to us and presented us flowers from the orphanage garden. Her caregivers had painted her fingernails, powdered her face, and painted her lips. She looked all grown up, except the little pigtails they’d made with her short hair. She was certainly still a little girl. Our first meeting was awkward. We didn’t want to frighten her with the hugs and kisses we were holding inside for her. We gave those to her as she opened up over the next several days. It was amazing to see the joy that she had showing HER parents to the other children. She ran from room to room showing us babies and older children. At the same time introducing us to each of the caregivers. It was wonderful to have a child old enough to understand the changes ahead. The orphanage had prepared her well. She had begun using Western silverware, knew about flushing stools, and had even been introduced to toilet paper. She was curious about everything we had with us. She rummaged through our backpack and discovered the outfit we brought to take her home. She quickly changed and announced, “Go America!” We couldn’t have imagined that she would be ready to leave. We will never forget her leading us to the taxi and waving, “Bye Bye Basundhara” to the orphanage staff as we pulled out the drive. When we arrived at the five star style Indian hotel she was sure she was already in America. We asked the desk staff to translate that we would spend three days there. We introduced her to the bathtub, the TV, the remote, and a variety of American snack foods we had packed. She became more relaxed with us an recited poems she’d learned in English. When we were shopping and she selected bangles and outfits for her brother and sister. She relished the one on one time and we realized how young she really was. We went over and over her photo album of her American home, family, and pets. She knew them as familiar from the photos when we finally arrived. The adults were all on pins and needles when we opened the door of the car and introduced her to her younger siblings at our house. There was a sigh of relief when the younger brother and sister took her hand and led her inside for a tour. All three happily giggling children bound from room to room checking everything out. It was a huge relief to see them all tucked in bed that night. Two weeks, and several doctor and dentist appointments later, she was begging to get on the big yellow school bus with her brother and sister. Six months later we are a “normal” family with sibling rivalry and happy giggles all the time. Our newest and oldest child has overcome her fear of water sprinklers coming on over produce in the supermarket, escalators, and automatic doors. She has established herself as a popular and funny member of her first grade class. Her English has developed by leaps and bounds. She’s finally beginning to see signs of Spring and learning to believe that America is not always cold. We have never regretted our decision to adopt her and neither has she. We realize that things could have been much more difficult for us, but we would take that risk again. We also realize that she is not fully grown yet and will likely have many questions about those dimming memories of orphanage life. Could you give an older waiting child a home? If you are willing to accept a child as your independent free thinking family member… perhaps you’re ready. If you’re willing to have a 10 year old that acts like a 3 year old…perhaps you’re ready. If you’re willing to hold your flailing child as they have nightmares and temper tantrums… perhaps you’re ready. If you’re willing to realize that you don’t know everything about your child… perhaps you’re ready. If you understand that there may be mental, oral, or physical health conditions that were undiagnosed in their homeland… perhaps you’re ready. If you’re ready to love and comfort another child…perhaps you’re ready. If you think perhaps you’re ready, I encourage you to talk with your social worker about the possibility of older child adoption. Every child deserves a family… in America or abroad, infant or school age, handicapped or healthy… they deserve the love and support of a happy healthy family. The Grossman's are a Midwestern farm family grateful to their agency (AIAA) and their daughter's orphanage (Basundhara Children's Home) for allowing them the opportunity to adopt two older waiting children.